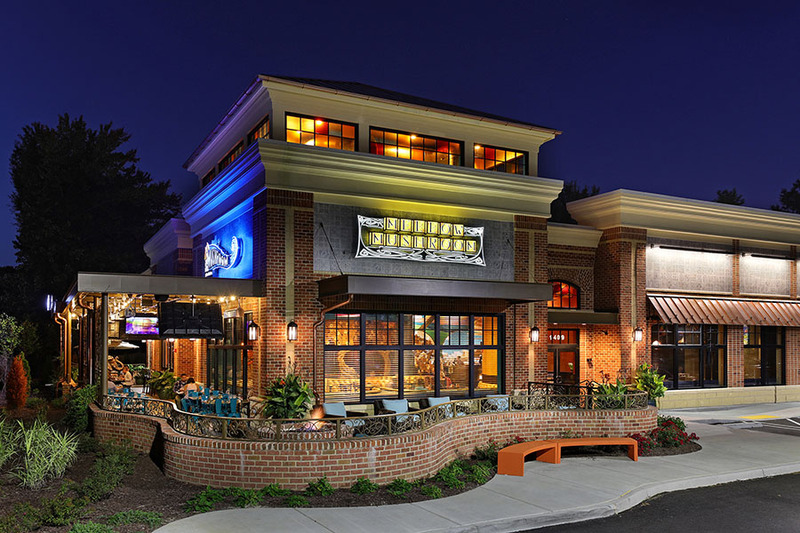 Mellow Mushroom in Midlothian, a suburb of Richmond, is a study in the Bohemian lifestyle. 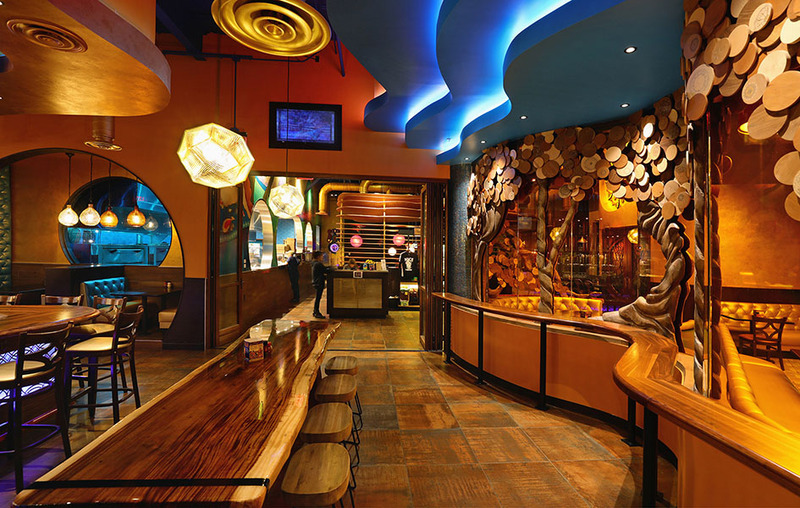 Unconventional, unorthodox, and free spirited are common terms when describing Bohemians, who were typically artists, writers and musicians. 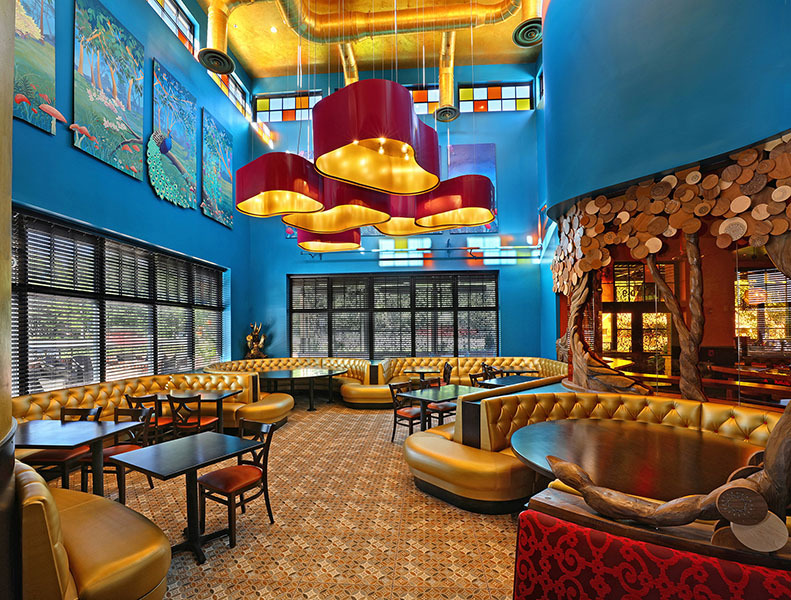 The 6,500 sf space uses unique patterns, a combination of bold and subtle colors, and natural and man-made materials juxtaposed in non-traditional ways. 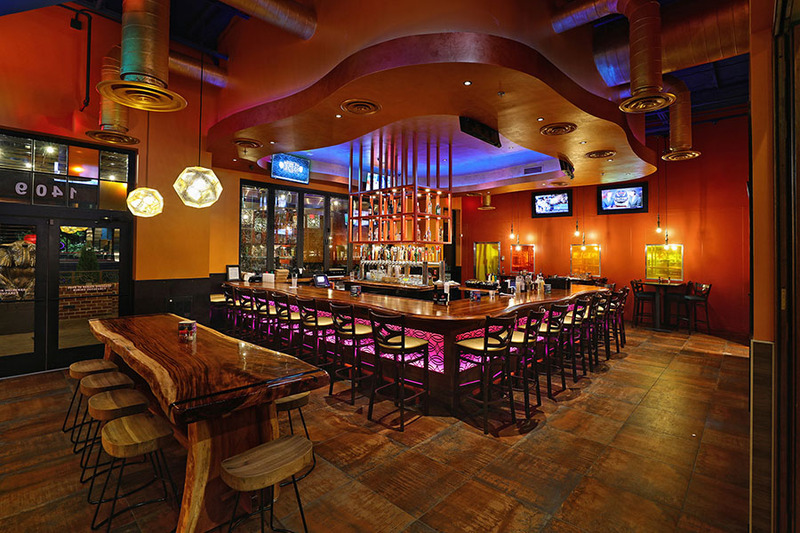 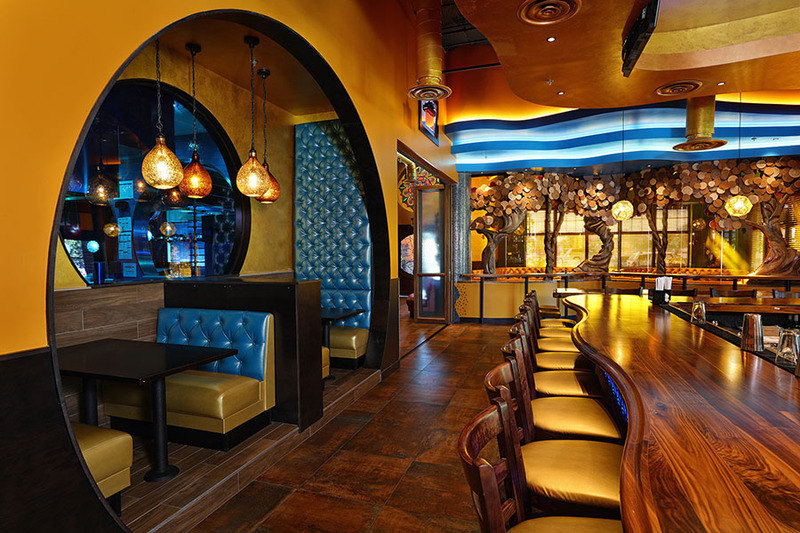 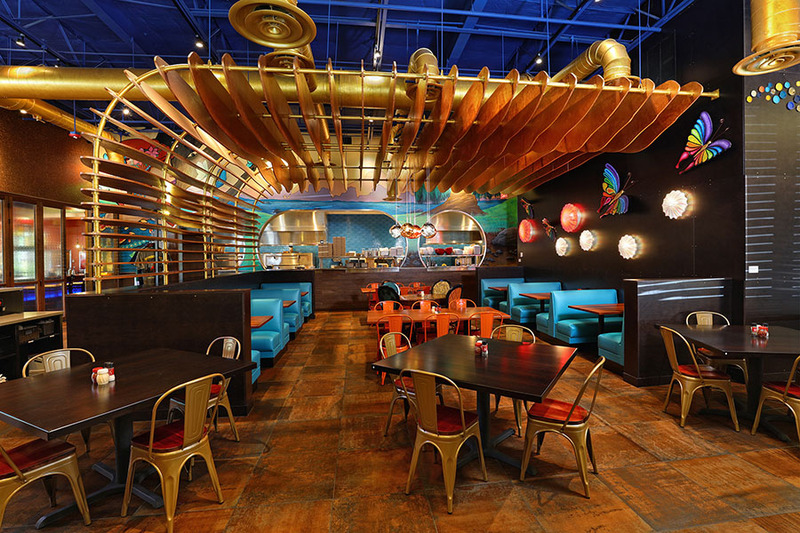 Theme is very much in keeping with Mellow Mushroom’s founder’s lifestyle and tastes.